Complete the majority of your program online, spending just 6-12 intensive days on-site. Everything we do is aimed to make sure you’re confident, quick to react, and ready to save lives. We don’t want you to just pass your certification. We want you to crush it and walk away without a doubt that you are ready to take care of real people who depend on you to get it right. I almost didn’t take my paramedic training through NMETC because so many coworkers were telling me it was impossible to have a decent online paramedic program. I’m so glad I didn’t listen to them! NMETC’s class is not decent, it’s exceptional! 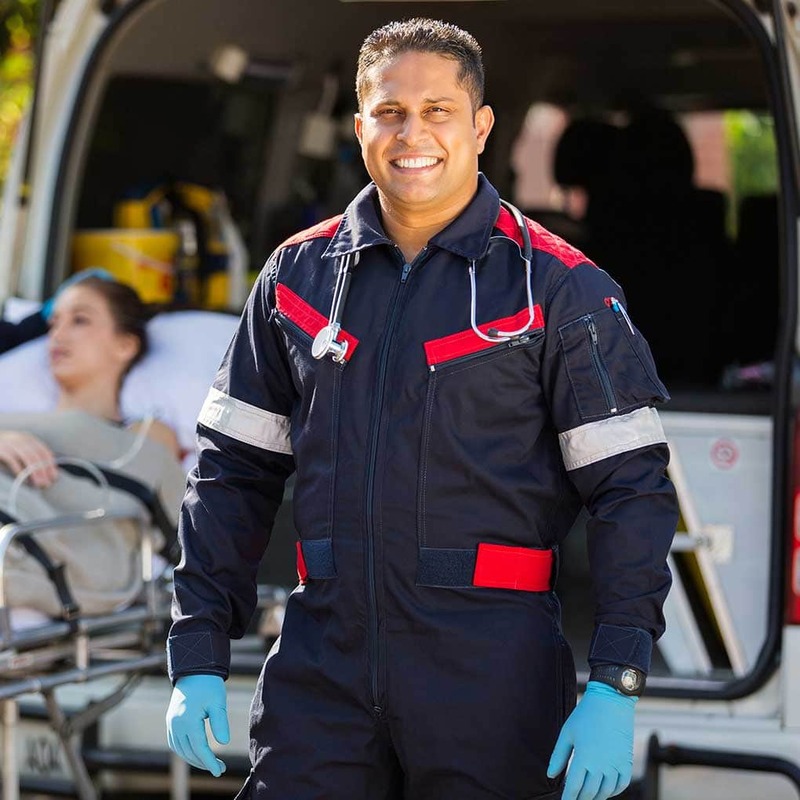 Without the flexibility of the online program, there was no way I could have reached my dream of becoming a paramedic. NMETC’s model is the future of optimal healthcare education delivery models [and] NMETC’s cadre of educators allow for an open, engaging and relaxed yet intense learning environment at the learning center. When you join a National Medical paramedic course, you also join a wonderful family. I can say with the utmost confidence that [this] program far exceeded my expectations. Without [it], there is no way I could have achieved this milestone while still working full-time. I am currently up and running as a Paramedic for my Fire District. Though great for me personally, it is even better for the people of my community, as up to this point, we were only able to offer services with the closest Medic Unit twenty to thirty minutes away on a good day. And it’s paying off for our students. 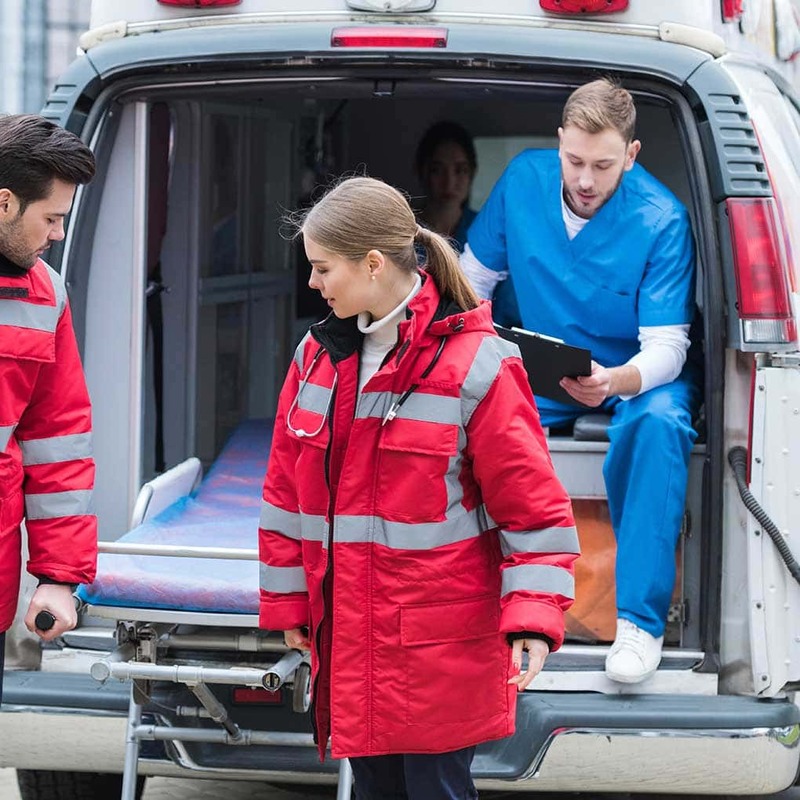 to complete the EMT program so you can get on the job, fast. pass rate of certification seeking graduates in all NMETC programs. the number of NMETC EMT and Paramedic Graduates working in the field. When you graduate from NMETC, we’re confident you’ll join the other 100% of certification-seeking graduates who pass the test. In the unlikely event that you don’t pass your certification exam in the allotted chances given by the NREMT, you can repeat our program for free. Active practitioners make up our faculty. We care about you and we care about your future patients. You each deserve someone who’s ready for the job. Whether you start your coursework on-campus or online, you’ll always put your skills to the test with advanced simulations using our state-of-the-art sim-lab. Every student completes in-person and in-the-field training, so you feel confident when you’re faced with high-stakes calls on the job. Complete each program completely on-campus or as an online hybrid, requiring six to twelve days of in-person training on our Massachusetts campus. Be ready to hit the streets as a capable, compassionate, and confident first responder. Further develop your skills to lead a team and offer life-saving care as a paramedic.